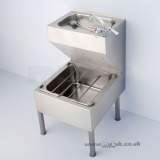 DENHOLM S2320MZ 600MM TWO TAP HOLES BASIN SS General purpose washbasin in 20 gauge stainless steel, satin finished. 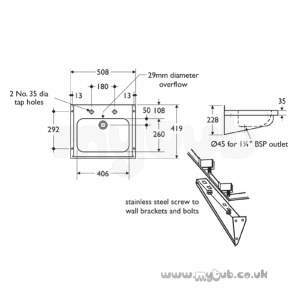 Stainless steel screw to wall brackets and bolts. 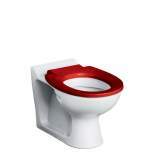 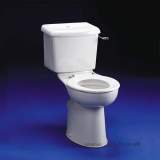 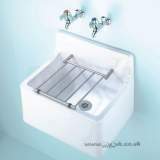 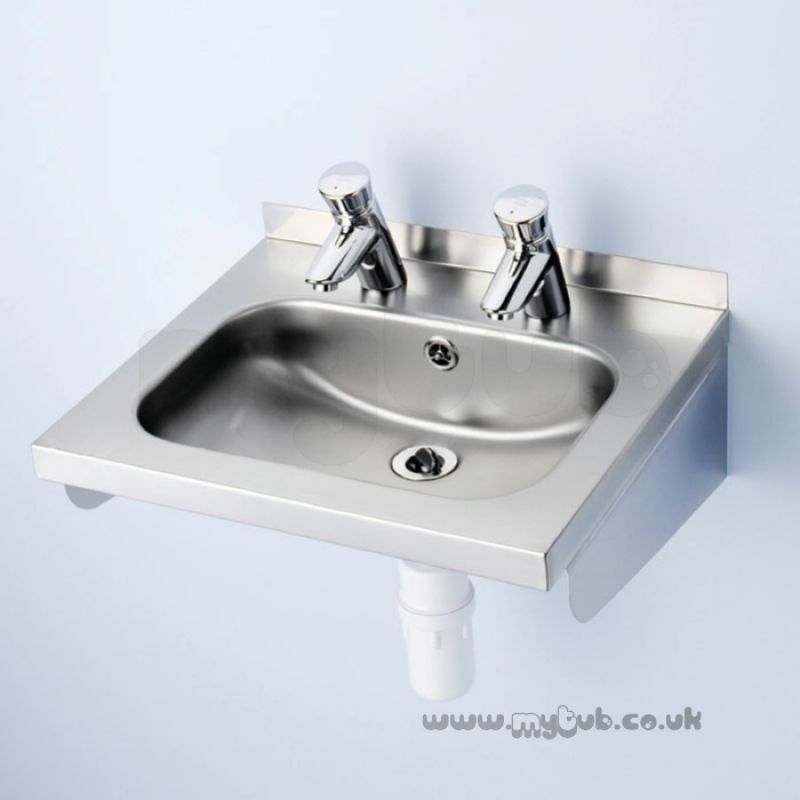 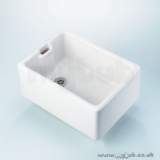 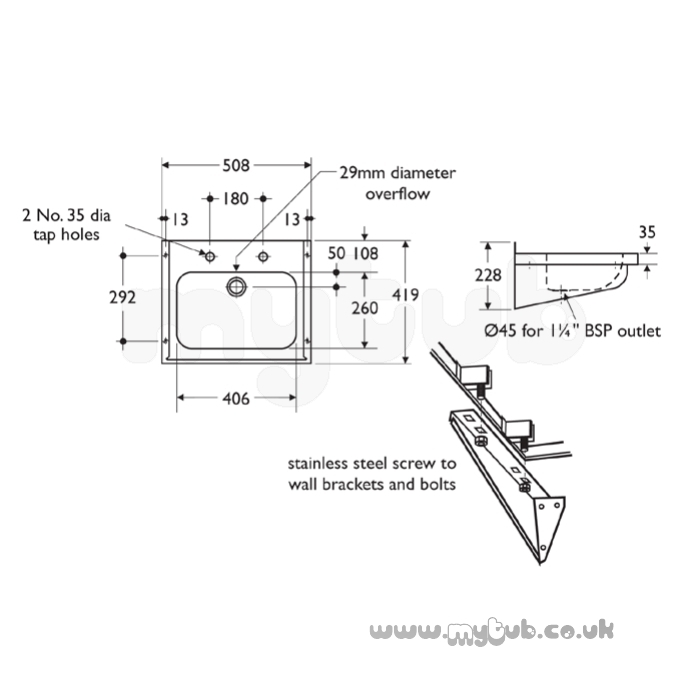 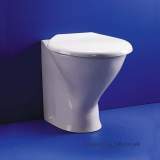 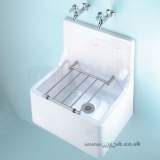 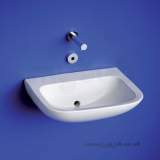 Why choose MyTub Limited for armitage shanks denholm s2320mz 600mm two tap holes basin ss S2320MZ?